If you’re planning about a trip by bike, you might consider the use of a trailer. 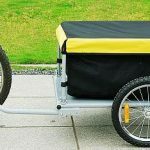 A bicycle cargo trailer is exactly what its name implies, a trailer for your bicycle purposely designed for transporting large amounts of goods that you could not carry on your bicycle otherwise. The innovative Aosom Elite II Bike Cargo / Luggage Trailer – Red / Black help you do more on your bicycle. It provides a safe, easy and convenient way to carry up to a 176 lbs load. The trailer has superior stability as compare to the other trailers in this segment. The Aosom Elite II Bike Cargo Trailer is ideal for carrying groceries, camping gear, sporting goods or anything else you need to take with you when you go by bike. The removable cabin cover keeps your goods safe and protected by resisting all kinds of outdoor abuses like rain, dust etc. The Aosom Elite II Bike Cargo / Luggage Trailer – Red / Black has a 176 lbs cargo carrying capacity, comes complete with rain cover which means you can go farther and explore more without leaving anything behind. The Aosom Elite II Bike Cargo / Luggage Trailer are easier to live with. This product is easy to pack, convenient to hitch, and light to walk with. With the help of its quick release wheels, folding frame and removable and washable cover, this product flatten effortlessly for storage. The frame is designed in such a way that it isolates your bike from the load so you don’t waste energy wiggling the load. So just take out the bike, put your luggage in and connect the trailer to your bike with the help of the Aosom Type ‘A’ bicycle connector provided for free to have a comfortable travel set-up with up to 176 lbs of carrying capacity. A bicycle towing a cargo trailer handles normally. It corners predictably, and stays maneuverable. The Aosom Type ‘A’ bicycle hitch attaches and releases in seconds. It fits nearly any bike and provides an effortless towing experience. 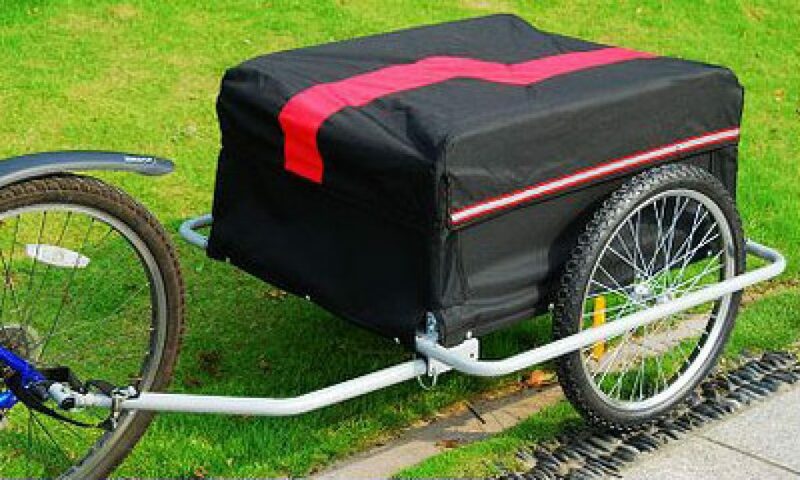 A two wheel bicycle trailer lets your bike handle normally, even if carrying heavy loads. It corners normally. It’s as manoeuverable as normal and it simply feels smooth when cycling. The Aosom Elite II Bicycle Cargo Trailer are more capable than rucksack or panniers. 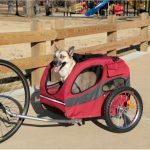 This two wheel bicycle trailer is rotationally isolated from your bike, so even suspended or lightweight bikes works fine with this product. This Trailer carries up to 176.4 lbs which is more than enough for a bike trailer. A bicycle is a well known method of exercise. It is a great way to do cardio improves the stamina and overall health of the rider. The removable and washable cover lets to keep the trailer clean. The steel body frame and metal bottom gives it a long lasting life. Because of the weight it carries, it takes longer to break and accelerate on hilly roads. The Aosom Elite II Bike Cargo / Luggage Trailer set the standard for all other bicycle trailers available in the market. It’s a tough, dependable and ready to roll trailer wherever you go. It attaches to the majority of bicycles’ rear wheel hub, creating a low and stable center of gravity with brilliant aerodynamics.